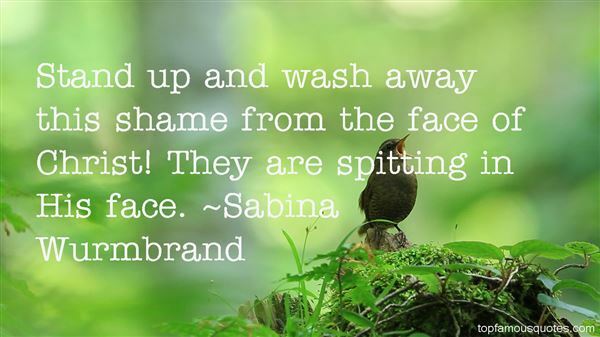 Reading and share top 1 Sabina Wurmbrand famous quotes and sayings. Browse top 1 most favorite famous quotes and sayings by Sabina Wurmbrand. Her silent singing wrapped around the story she was telling herself, which she extended further every night on the deck. (Averill often told herself stories-- the activity seemed to her as unavoidable as dreaming.) Her singing was a barrier set between the world in her head and the world outside, between her body and the onslaught of the stars."